We have a male puppy available he is 9 weeks old. 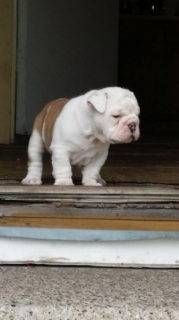 Hes full of energy very wrinkly. He comes with his AKC papers shot records. Hes been home raised with children. Both parents on sight. Price is firm I dont accept any trades.